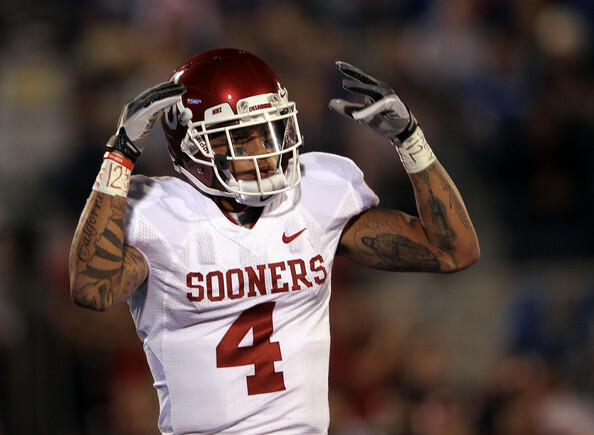 NORMAN, Okla. -- The Oklahoma program added its 18th appearance on national college football awards preseason watch lists Tuesday as Kenny Stills was named to the Biletnikoff Award watch list. The junior receiver appears on the preseason watch list for the award, given annually to the nation's top wide receiver, for the second consecutive season. OU has had a finalist for the award the last two years as the NCAA career receptions holder, Ryan Broyles, finished in the top three of voting for the award in 2010 and 2011. Stills started all 11 games that he saw action in last season, earning All-Big 12 second team honors after finishing the year with 61 receptions for 849 yards and eight touchdowns. The Encinitas, Calif., native crossed the 1,000-yard receiving mark last season against Texas with his 77th career reception, becoming the second-fastest Sooner to eclipse the 1,000-yard mark behind Broyles (69 receptions). In that same game, Stills became just the fourth Sooner with multiple receiving touchdowns in a game vs. Texas as he hauled in two touchdowns, one of six games he scored in. The top returning receiver on the Oklahoma roster, Stills currently sits in 10th on the OU career receiving yards chart with 1,635 career yards and 11th on the career receptions list with 122. The Tallahassee Quarterback Club Foundation, Inc. will announce the ten Biletnikoff Award semifinalists on Nov. 12, following the vote by the Biletnikoff Award National Selection Committee. Likewise, the three finalists will be declared, following another vote, on November 19, 2012. The 2012 winner will be presented live on Dec. 6, 2012, at The Home Depot College Football Awards Show.